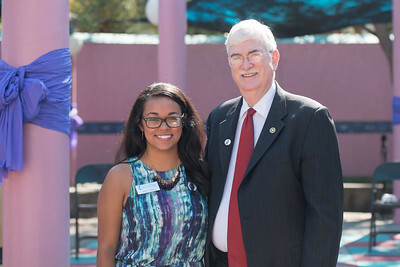 Andrea Gilson and Dr. Flavius Killebrew during the Go Purple Domestic Violence Prevention Month Kickoff event. 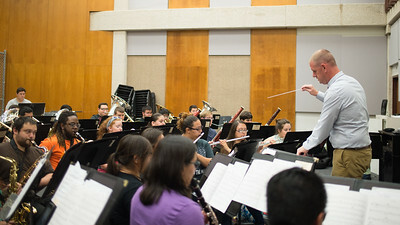 Dr. Brian Shelton directs the band during class in the Center for Arts. 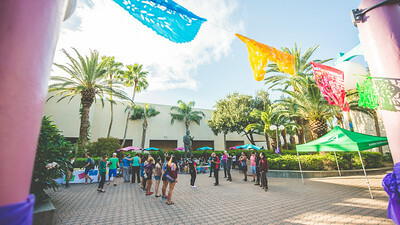 Students follow instructors during the ICA's Latin Dance Night at the Hector P. Garcia Plaza. 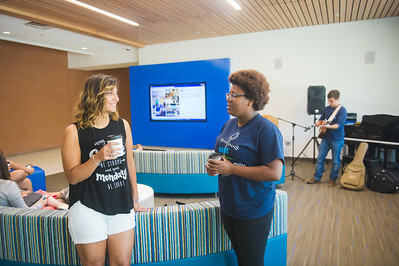 Laraine Shawa and Jahleepha Bailey enjoy a cup of coffee during the CAB's Coffee House event in the UC. 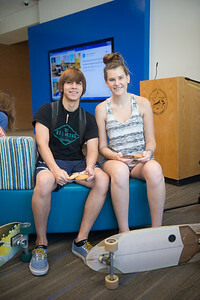 Christopher Trevino and Roxy Laskowski stop by the CAB Coffee House event in between classes. 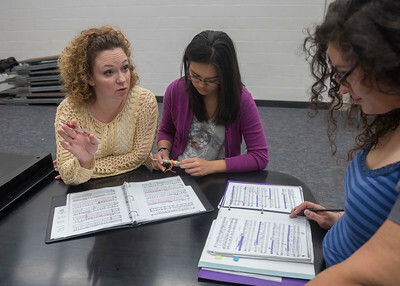 Dr. Thacker assists students Crystal Aguilar and Jillian Scaff during their Choir class. 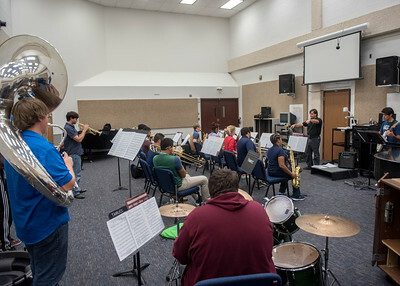 Dr. Thacker conducts the Jazz Ensamble during their class. 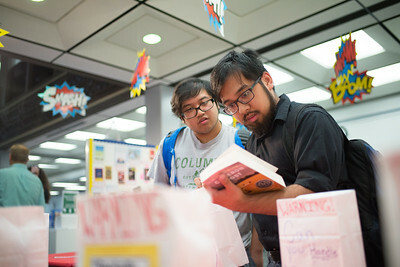 Jeremiah Banaag and Elijah Banaag look through the display of banned books during the Library's Banned Books Week event. 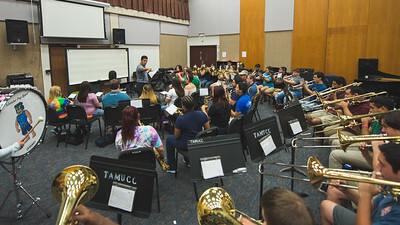 Dr. Kenneth Iyescas during the pep band class in the Center for Arts building. 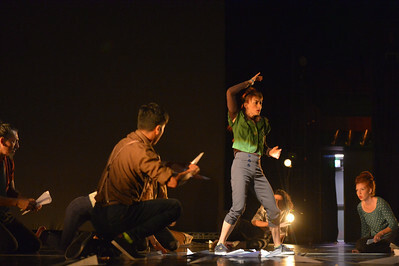 Danza Universitaria - Costa Rica performs Sabotaje I during the Bailando Dance Festival. 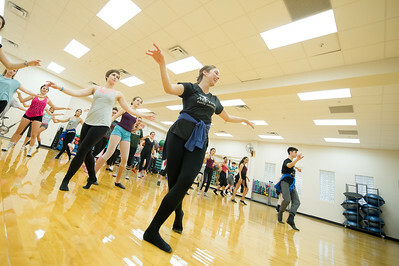 Leah Wierichs leads a Musical Theatre Jazz class for the 2016 Bailando Dance Festival. 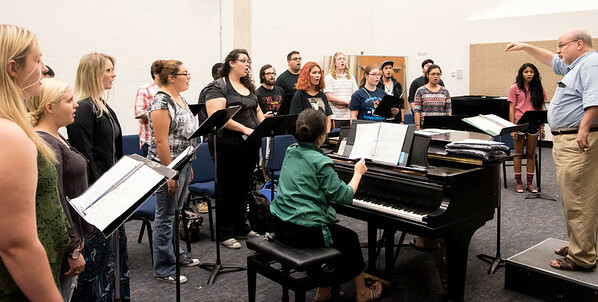 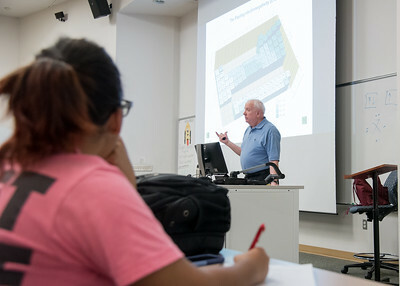 Dr. Christopher Pool interprets a composition to his students. 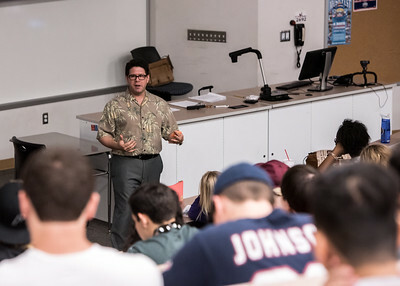 Dr. James Owens teaching his students about the different bonds in Chemistry. 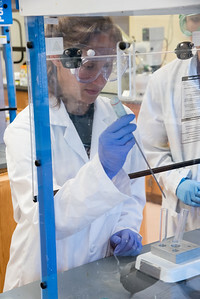 TAMUCC Student Amy Allen observer her findings during a trial run of her experiment. 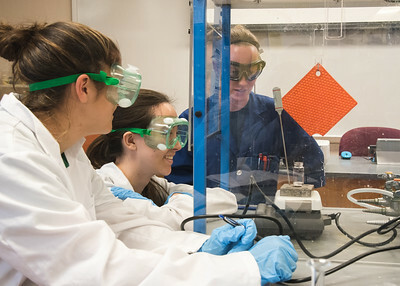 TAMUCC Professor Jenna Cooper assists her students through their organic chemistry experiment. 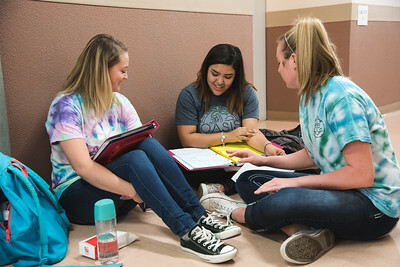 TAMUCC Students Baeleihj Kelly(left), Sabrina Castorena(middle) and Catherine Ringel(right) collectively study for a group project. 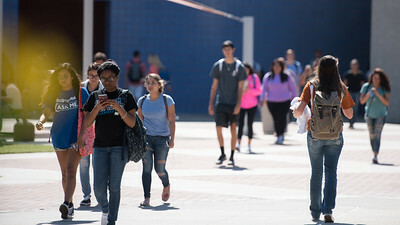 Students make their way to class through the Center for Instruction Plaza. 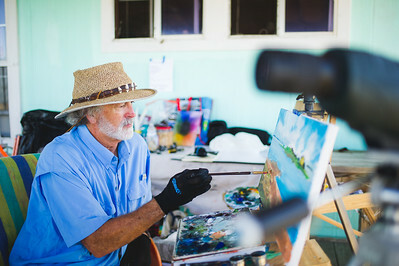 Artist in residence Jeff McDaniel works on one of his many art pieces produced during his stay at the Laguna Madre Field Station. 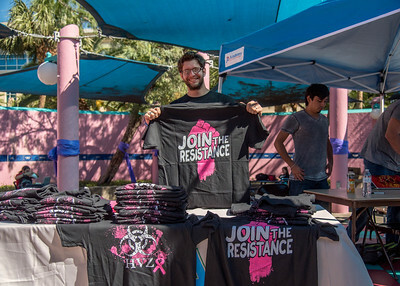 Peyton Copeland gets people registered for the Human Versus Zombies event in the Hector P. Garcia. 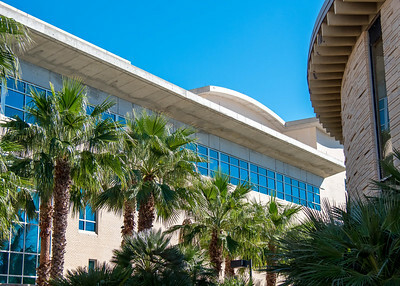 Palm trees line the walk way between Bay Hall and the Student Services Center.